Following an eight-day strike, Teck Resources (TSX: TCK.A, TCK.B) (NYSE:TCK) has reached a new contract agreement with Union No. 1, which represents one-quarter of its Quebrada Blanca copper mine workforce. Quebrada Blanca is located in the Tarapacá Region of northern Chile and it is nearing the end of its life. So far this year, the mine produced 17,300 tonnes of copper. Last year the operation produced 35,000 tonnes, down more than 10% from 2015. Given the decreasing volumes and the fact that operations continued during the protest action, Teck said that there wasn't a major impact on production at the site. Nevertheless, the Canadian miner wanted to settle things with the 105-member union whose leader, Jorge Flores, was asking for a bonus scheme that would put his organization on equal footing with the mine’s two other unions. In a statement shared over email, the Vancouver-based firm confirmed that it had reached a compromise with Quebrada Blanca’s miners. “[We] have ratified a new collective contract for 24 months, effective December 1, 2017 to November 30, 2019. The previous collective agreement expired on November 30, 2017. The two other unions representing the majority (76%) of employees at the operation reached agreements in early 2017,” the release reads. Keeping peace at Quebrada Blanca is key given that Teck is considering developing the second phase of the project. If management decides to move forward with it, the development of the hypogene orebody would come at a hefty price tag of some $4.7 billion for major infrastructure investments including a new concentrator and desalination plant and pipeline. But regardless of what projects copper miners are developing in Chile, experts say that they can expect more labour disputes in the coming months. Not only higher prices for the red metal have workers expecting better salaries, a new labour code has also prompted many unions to schedule wage negotiations. 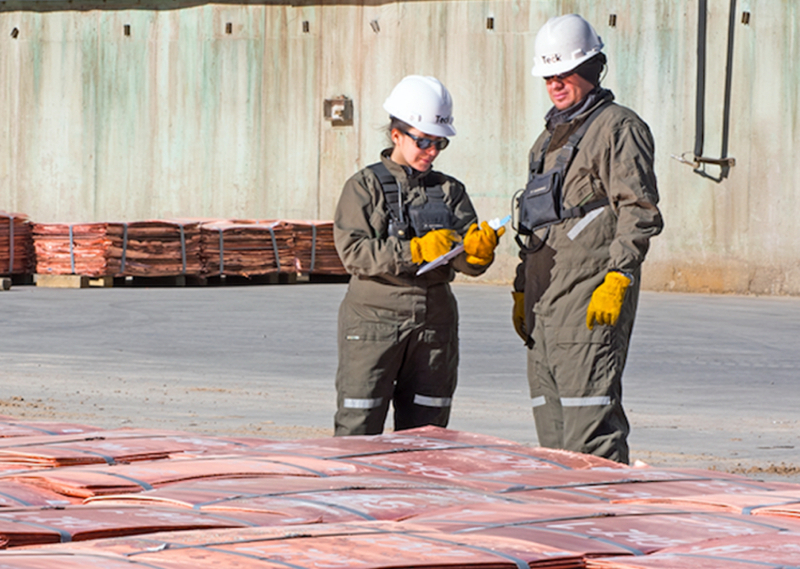 Chile is the world’s top copper-producing country.